Advanced Orthodontics uses 3D Image Scans to help determine what treatment type is best for creating your perfect smile. Advanced Orthodontics’ High-tech braces with self-ligation are used to help correct bite, eliminate crowding and spacing, correct impacted teeth, as well as correct potential growth complications. These high-tech braces are less noticeable, don’t include colored elastic ties, help to minimize soreness and can reduce ½ of the treatment appointments as traditional braces. Come in for a free, no obligation smile consultation with Dr. Larrabee and be on your way to a perfect smile. 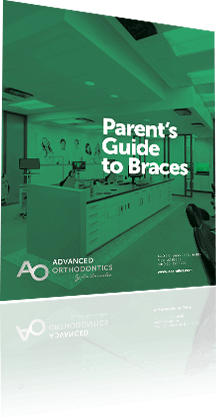 Advanced Orthodontics’ high-tech self-ligating braces are smaller and more discreet than traditional braces and don’t involve colored, elastic ties. Our brace treatment does not involve colored ties like those used with traditional braces. We use a high-tech door mechanism which grabs onto the orthodontic wire to create your personal smile versus using colored ties to grab the wire. This high-tech door helps to minimize friction and often helps minimize soreness due to less activation being placed on the teeth. Advanced Orthodontics uses the latest in orthodontic treatment to help minimize soreness associated with braces. Self-ligating brackets allow the teeth to be moved with a constant, lighter force versus heavy on and off tightening. Traditional braces require follow-up appointments every 4-6 weeks. But with Advanced Orthodontics’ high-tech braces, treatment visits are as few as every 10-12 weeks. This, along with our flexible office hours, helps reduce interference with school and work. 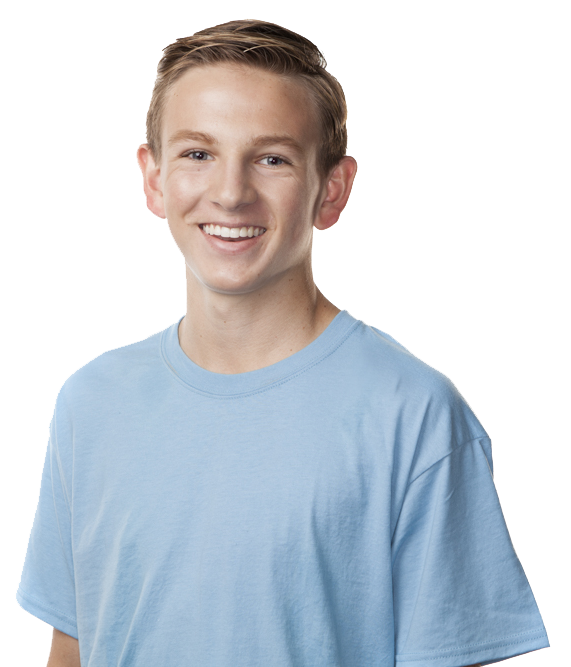 Dr. Larrabee works closely with patients of all ages to help achieve beautiful, personalized smiles through brace treatment (as well as Invisalign and Propel). Following the initial placement of your high-tech braces, your visits will extend to every 10-12 weeks. At your visits, Dr. Larrabee will assess your progress, make adjustments if necessary and discuss any important updates with you. Even though your appointments are only every 10-12 weeks we still maintain flexible office hours that help accommodate for appointments before or after work/school. As a medical professional myself, I am particularly impressed by this office. They know how to interact and motivate kids. Fantastic experience overall. Dr. Larrabee and his staff are the very best. We loved the complimentary appointment and the payment plans they have making it very affordable. Dr. Larrabee does such amazing orthodontic work that the only way my new dental hygienist could tell I previously had braces was by referring to old x-rays. As an adult with braces, I was a little nervous as to how the whole process would be, but I’m so pleased. I would definitely recommend Dr. Larrabee to anyone, no matter their age!